Michael Courtney Design creates signs that guide, direct, inform—and delight. One of Michael Courtney Design’s long-time local clients called with a new project. 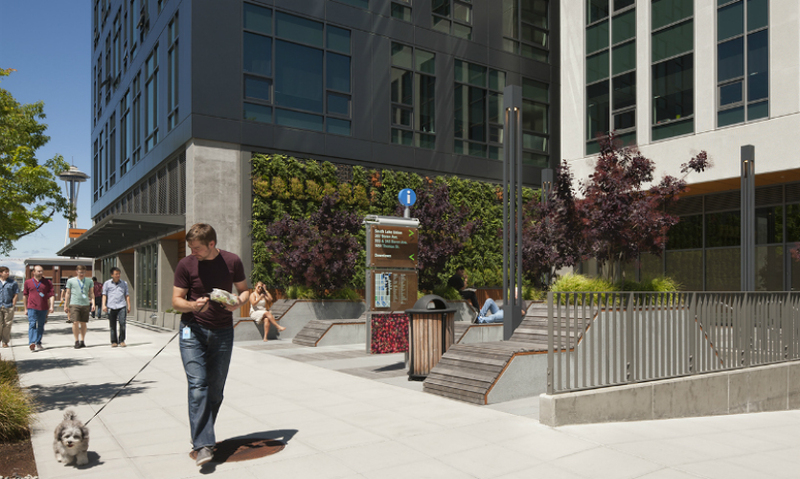 The Fortune 100 technology company had begun designing and building a neighborhood in Seattle’s revitalized South Lake Union area, an emerging tech and innovation hub. Three new buildings were underway, with several more planned to house an eventual workforce of 27,000 new employees in a 30-square-block area. MCD’s first assignment was to develop a Wayfinding Master Plan to guide employees and visitors to the new buildings and retail infrastructure (restaurants, health care, coffee shops, etc.). The client had two requirements: MCD couldn’t use the company’s name on the graphics, but they should add “Easter eggs”—delightful, interesting images and ideas that employees would find in surprising places. 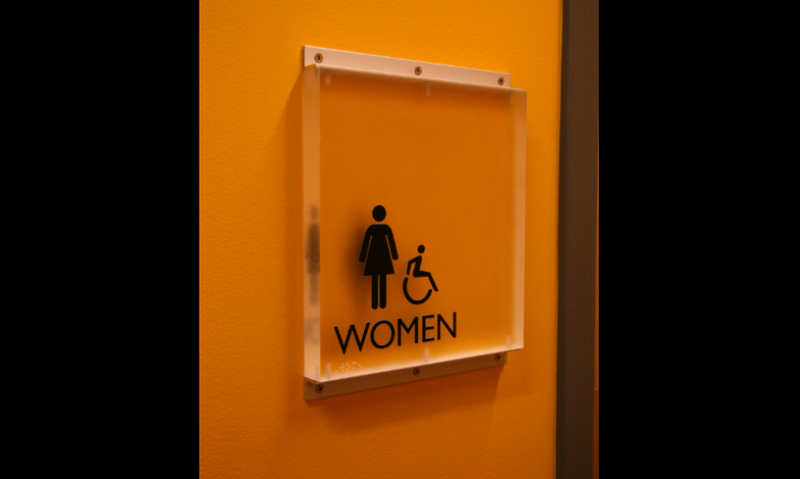 The MCD team identified several locations for the signs on plazas and in key public spaces. The neighborhood’s urban landscape varies, with new and old buildings interspersed with plazas and public spaces. Visitors and team members visit the site from all over the world. For ease of recognition and continuity, the team recommended a consistent, cohesive design language with a contemporary look and feel. 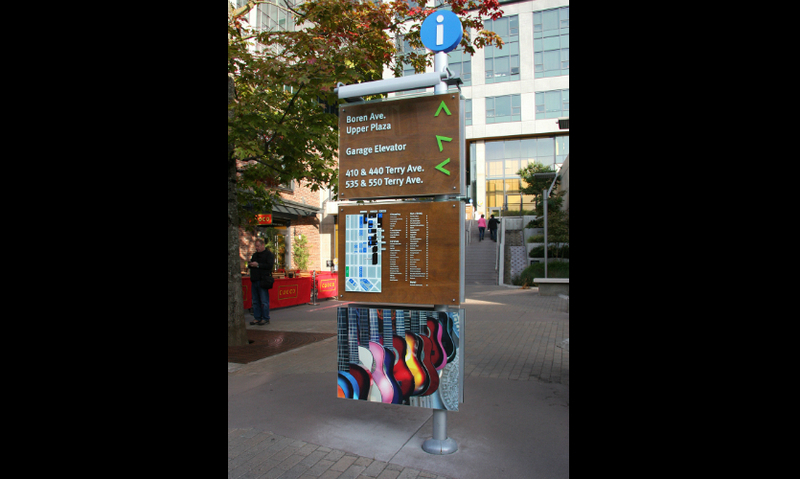 They designed a series of 8.5-ft.-tall directories, each with three panels mounted to a powdercoated-aluminum post. 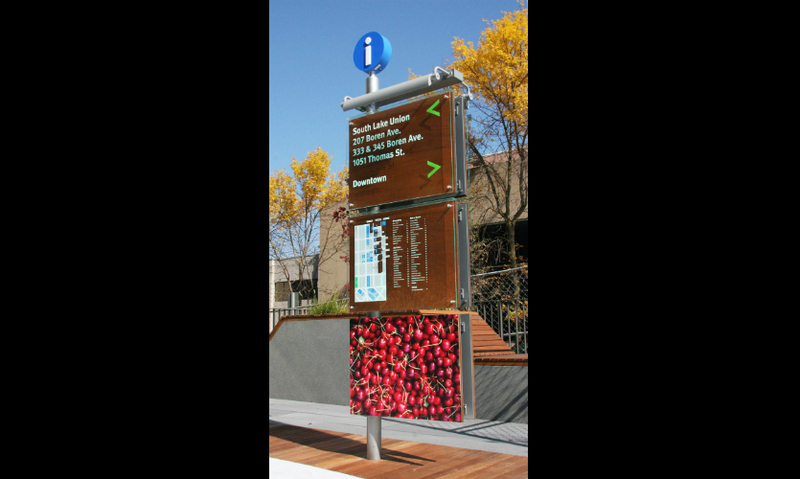 The top two panels hold wayfinding information: directions on top and a neighborhood map and retail/restaurant directory in the center panel. Both top panels are Prodema composite with a wood finish, covered with a 30/30 green-edged acrylic face with second-surface printed graphics. The bottom panel incorporates the “Easter eggs,” colorful photos of everyday objects such as bicycles, crayons, bouncy balls, cranberries and more (subtle references to items you might purchase from the company). Each directory has a different, easy-to-change photo image, reproduced on weather-tough iZone digital high-pressure laminate. The directories were fabricated by Rainier Industries. 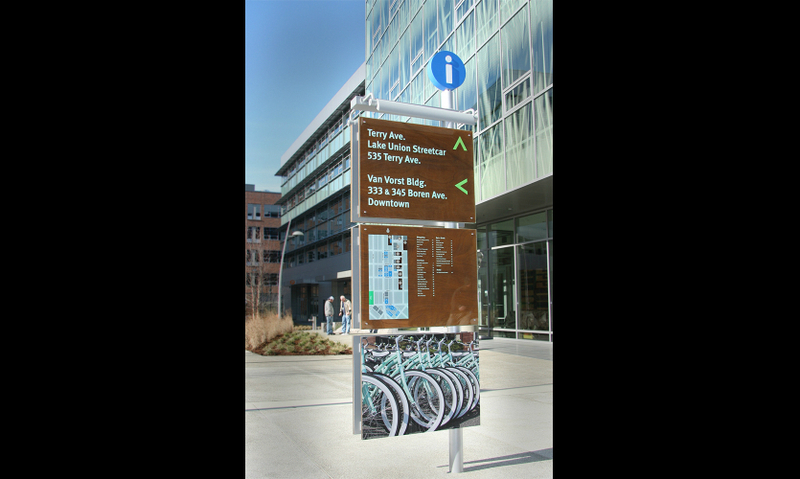 With 14 buildings completed or under construction and more in the pipeline, Michael Courtney Design has used this expandable theme for new directories as the neighborhood grows and adds new buildings. 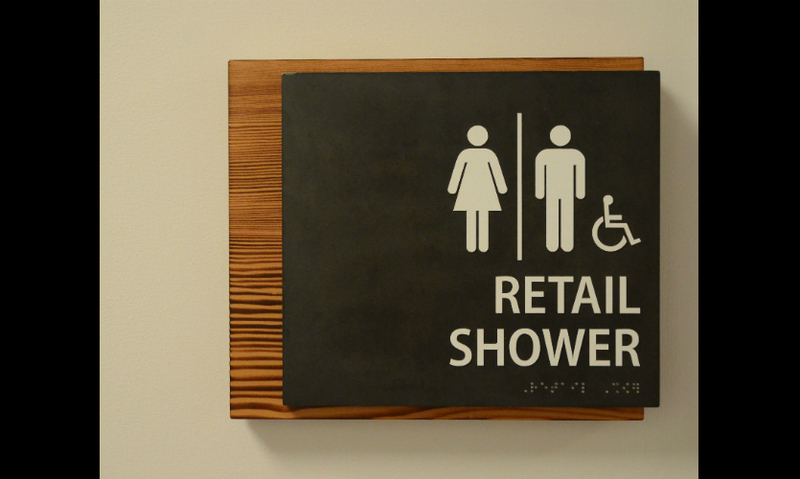 In separate projects, MCD has developed interior sign packages for many of the client’s office buildings. “We created a comprehensive system with a contemporary look and feel that would work across the wide variety of building styles in the neighborhood,” notes Michael Courtney. 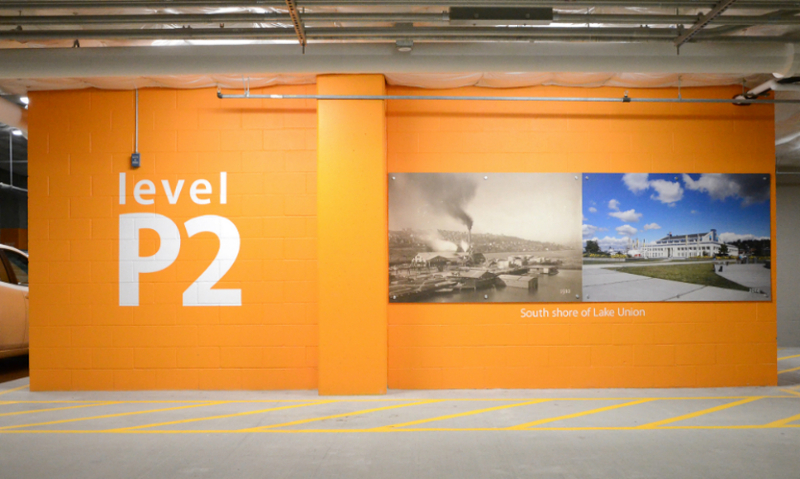 The interior sign packages are made uniform through use of consistent forms and types styles, while colors and materials differ in each building. 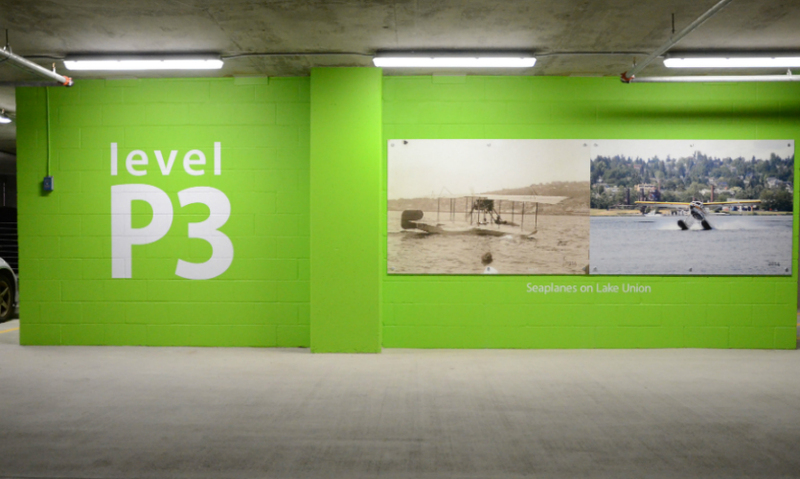 MCD has extended the Easter egg concept to murals in the parking garages. “We were asked to develop themes reflecting the site history,” notes Courtney. The site-specific images show the neighborhood’s former lives, from early and current seaplanes to a sawmill and the newly renovated Museum of History and Industry. 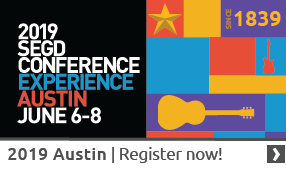 Find more on Wayfinding and other areas of interest in SEGD's Xplore Experiential Graphic Designindex!